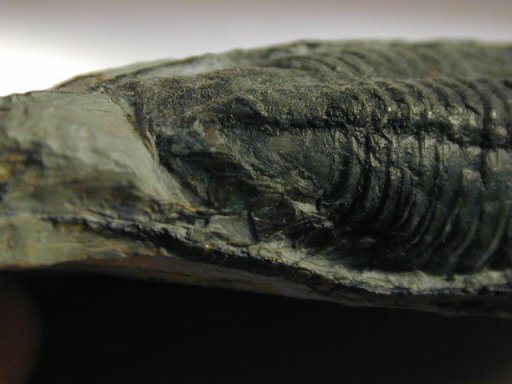 This trilobite the McKay Group, near Radium, B.C. Canada, about 100 miles from the well-known, Lower Cambrian, Eager formation. 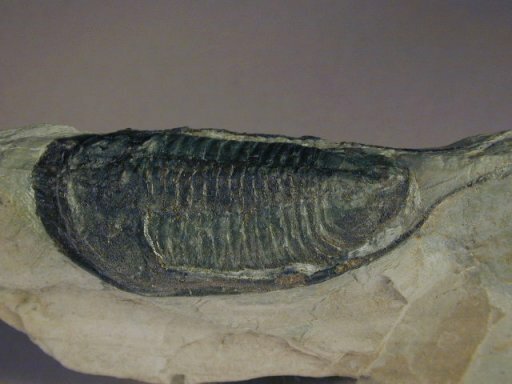 Its morphology is bazaar among trilobites, with huge genal spines that extend behind its pygidium. 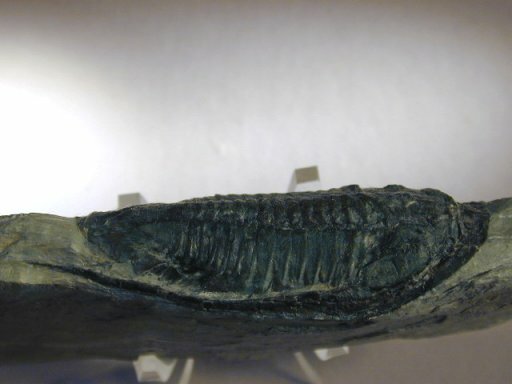 It is most likely a member of Order Ptychopariida. 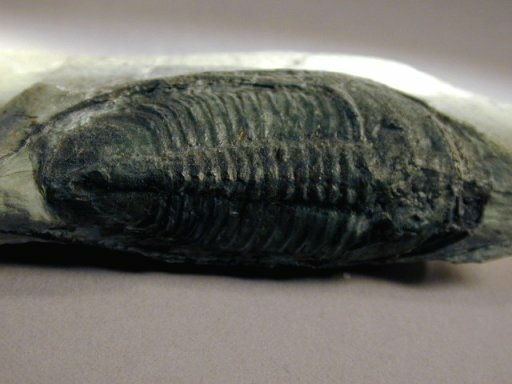 Trilobites of this order have long confounded paleontologists owing to an astonishing morphological diversity. Many experts believe that there simply should have not been such a huge number of distinct species. They posit the the diversity of form is most likely attributable to sexual dimorphism and cross breeding. One expert claims that this species, other than its outrageous genal spines, resembles the genus Aphelaspis which occurs in the same vicinity.